Tree Services for King county including Redmond, Sammamish, Issaquah, Kirkland, Bellevue, Mercer Island, Woodinville, Bothell and Eastside. 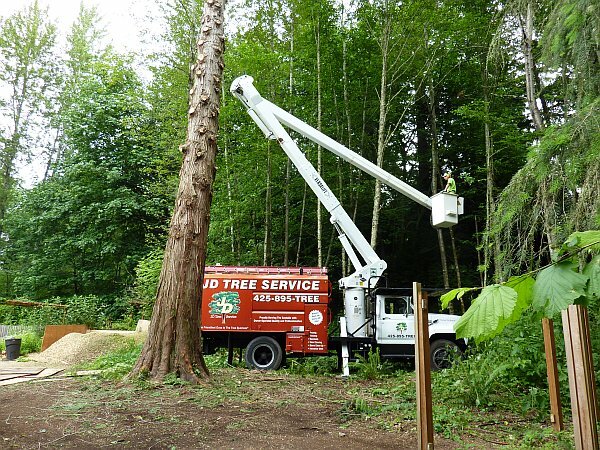 With over a decade of tree care expertise, JD Tree Service offers a full range of professional tree care services for the Eastside and Seattle including tree removal, pruning, thinning, view clearing, emergency storm damage clean up, insurance claims work, and more. We the owners, John and Doug, take great pride in performing every job personally and have a 13 year perfect safety record. We value your property and treat it like it is our own. We combine 13 years of experience with the best equipment in the industry to exceed your expectations on every job. We remove all debris from our job sites, and take away most trunk wood at no charge. We are very conscientious and detail oriented with all phases of our work, including the clean up on your property. We offer professional tree removal for dangerous, or hazardous trees for both residential and commercial properties. 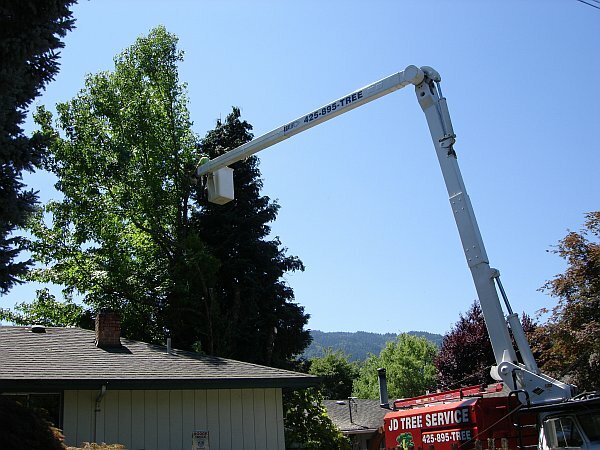 If you have large trees on your property that you feel could possibly fail in one of our Puget Sound wind storms, trees that are diseased, or trees you would like removed for view enhancement, please call us for a free estimate. When we visit your property to offer you a free estimate, we will evaluate the condition of the tree, the location and other factors to determine the best course of action for removing your trees. 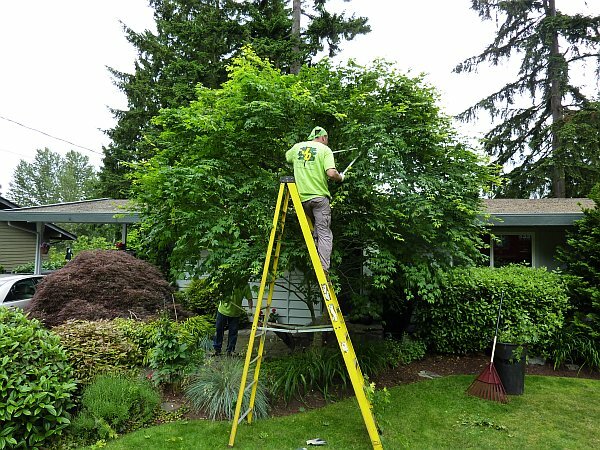 Our tree pruning service includes expert pruning and thinning for ornamental trees, fruit trees, large hedges and shrubs, and trees that need rejuvenation. 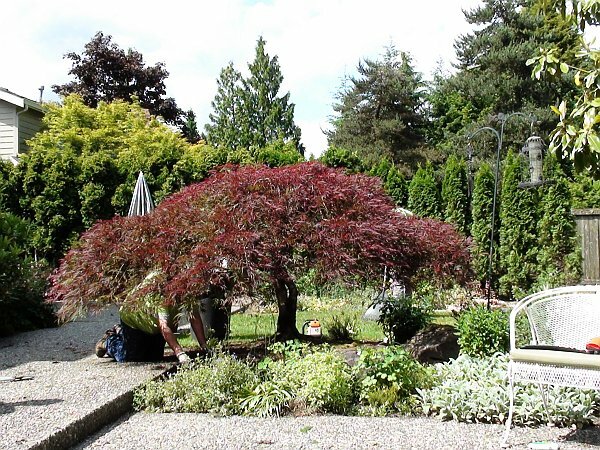 We are professionaly trained in the art of tree pruning and arboriculture, and we can thin and shape your valuable trees and help restore them to their natural form and beauty. Our professional tree thinning service is done for a variety of reasons. Tree thinning for storm damage prevention on large trees includes removing branches to minimize wind sail, which helps prevent potential storm damage tp your property. Crown thinning selectively removes branches to increase light penetration and air movement throughout the crown of a tree. Tree thinning is recommended for evergreens such as pines, cedars, redwoods and firs, as well as deciduous tree like large oaks etc. 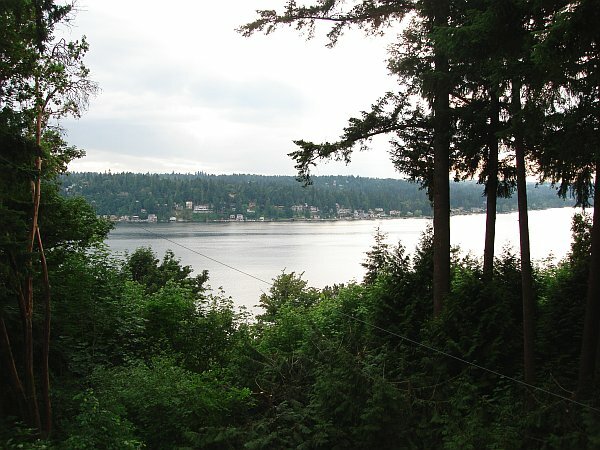 The Puget Sound is an area with great natural beauty, but unrestrained tree growth can obstruct the desired views on your property. We offer view and lot clearing, which includes both selective thinning and tree removal. Enhanced view tree trimming can increase the value of your property yet still maintain the integrity of the trees. Selective trimming, feathering, and crown reduction are utilized to enhance your property's view. JD Tree Service also offers storm damge clean-up, emergency tree removal, and storm damge prevention tree maintainence. 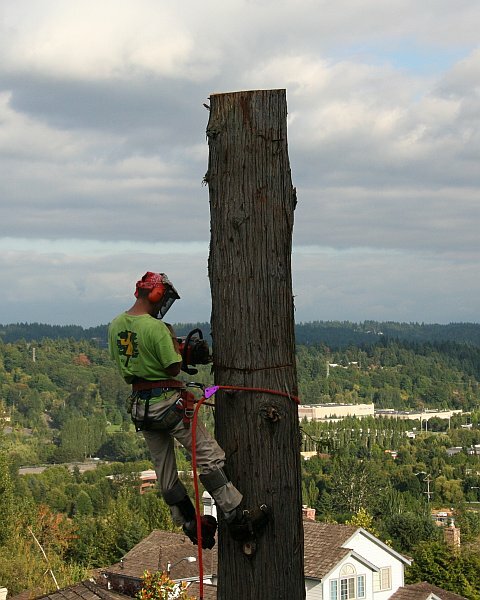 We have the resources and expertise to handle any type of tree removal on your property. Preventitive care is the best solution to reduce potential damage to property. It is far less costly for home owners who have potentially hazardous trees to be proactive and take preventative action to have hazardous trees removed before a storm strikes. 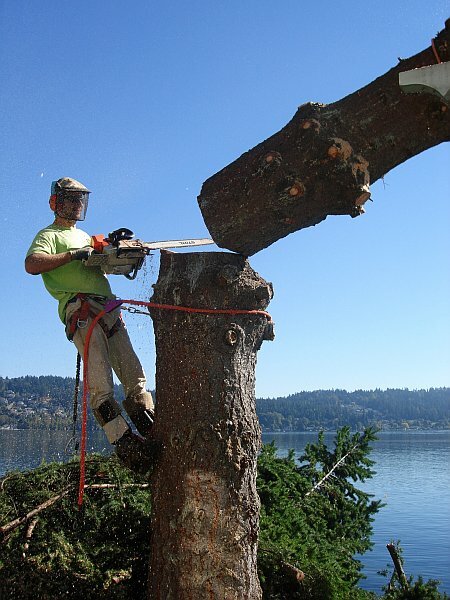 We also offer stump grinding, tree bracing and cabling, tree inspections and more. Stump grinding can be completed at different depths. We are capable of grinding out any sized stump. A shallow grind to plant grass or small plants, or a deep grind to plant a tree in its place. JD Tree Service also offers cabling and bracing for problem trees. Installing steel cables between major limbs reduces strain and helps support the tree. Cabling also helps reduce stress damage caused by high winds and excess ice or snow weight during the winter. We are a fully licensed, bonded and insured. (Lic.# JDTRES*990PS) We have a perfect, unrivaled safety record, and have never had an insurance claim. "I recently hired JD Tree Service to remove several birch trees from my yard, 2 of which were dead. I could not be more pleased with the decision to hire this company. From start to finish, I felt like I was in extremely capable hands. Not only do the owners do all the estimates themselves, they do all the tree work themselves as well! I cannot count how many times I've hired contractors who've sent out a very respectable estimator and then on the day of the job a not-so professional crew shows up to do the actual work. I am delighted by John and Doug and have found a tree service I can depend on for quality, honesty, and affordability, not to mention friendliness. "